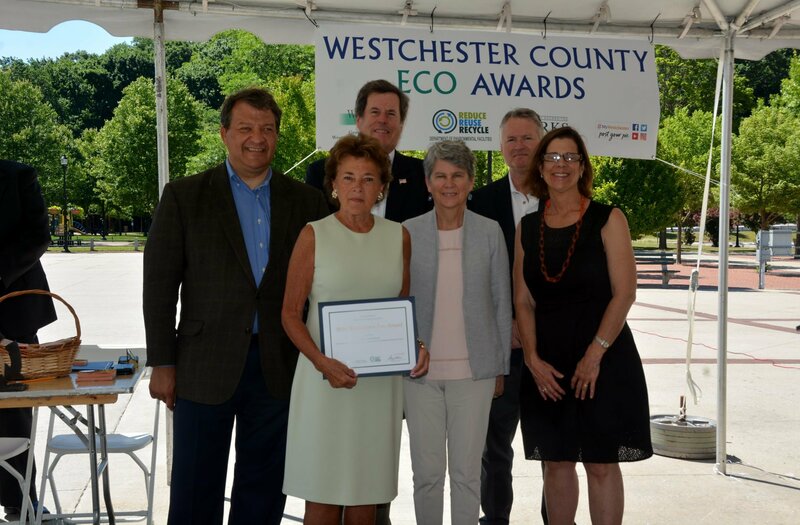 With Single Stream Recycling and your participation, the Town of Bedford received a Westchester County Eco Award for having the highest residential recycling rate in the county in 2017. Congratulations! Let's keep it up, Bedford! Westchester County recognized the Town of Bedford with an Eco Award for our stellar recycling in 2017! Please note the temporary changes to Single Stream Recycling due to China's recent announcement that it will no longer import much of the world’s recyclables. This has caused instability in the global market for these materials and while this is in flux, the Materials Recovery Facility (MRF) where our recyclable materials go for processing has modified what will be accepted. However it is important to note that the majority of materials we have been recycling ARE still accepted. 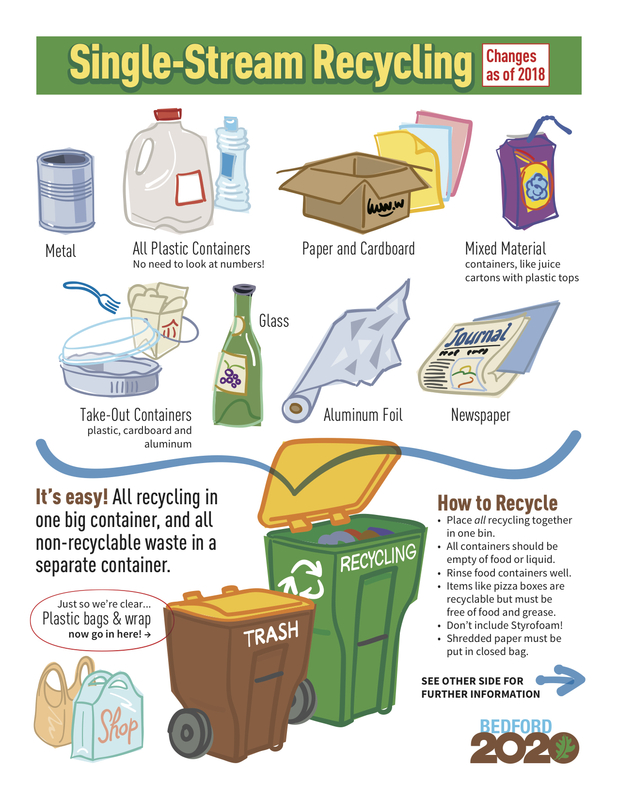 Please continue to recycle your plastic containers, glass, aluminum, clean paper, cardboard and more! 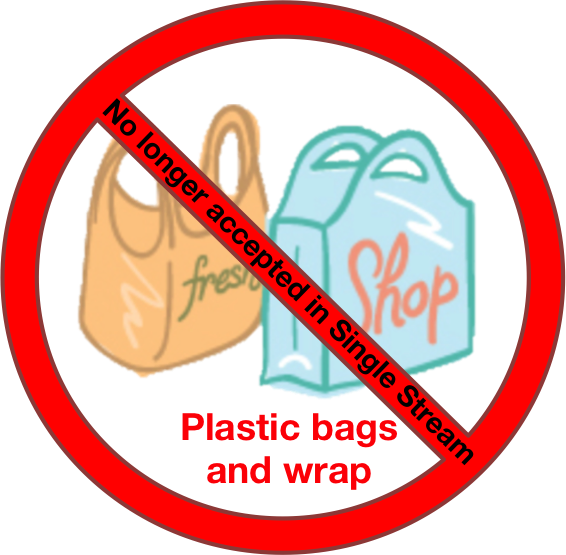 NO LONGER ACCEPTED: Plastic bags, thin film plastic, Seran wrap, bubble wrap, candy/chip wrappers, wax paper, liner bags and similar materials. Baled recyclables to be sold and made into new products. China's import ban has temporarily depressed the market for these materials causing the MRF to make changes. Use your reusable bags every time you shop, anywhere! Sign up for the Bedford 2020 Zero Waste Challenge this fall. 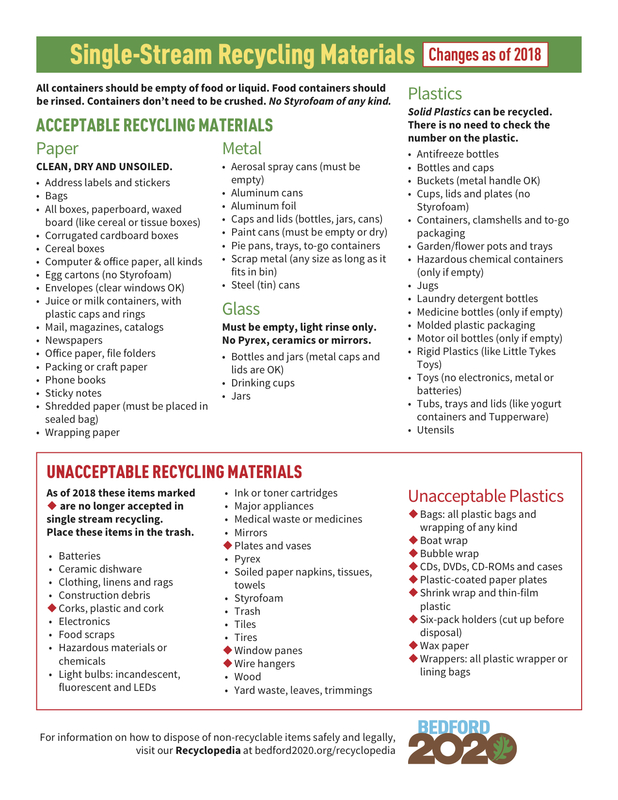 Take another look at the new Single Stream Recycling list. Check out the Bedford 2020 Recyclopedia if you don't know how to dispose of something. Click on the icons below for more information about these Bedford 2020 waste reduction programs, and stay tuned for the Zero Waste Challenge coming in the fall!